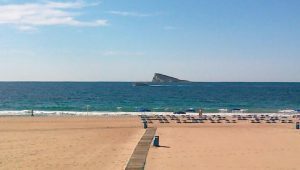 Nowadays, Benidorm and tourism are synonymous, that’s not a coincidence, being a city with a privileged microclimate where almost all the year is summer. 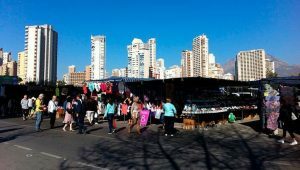 Are you wondering what activities and interest sites are there in Benidorm and its surroundings? On this page you will find it. 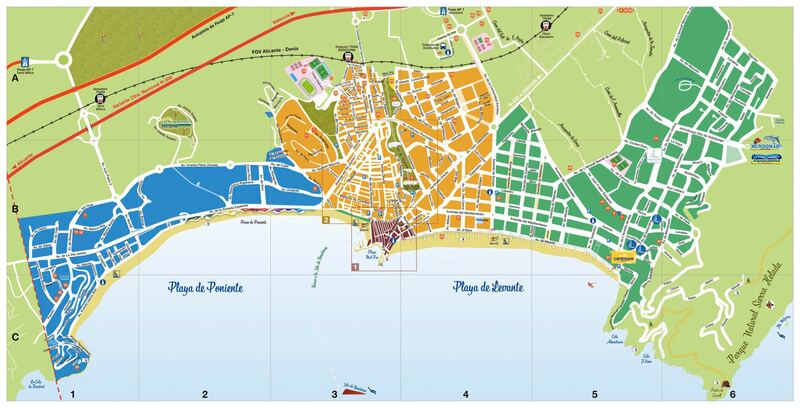 If you want you can look right now the Benidorm map. 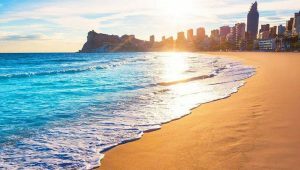 The Mediterranean Balcony also known as Punta Canfali, is the point that separates Benidorm’s main beaches: Levante and Poniente. 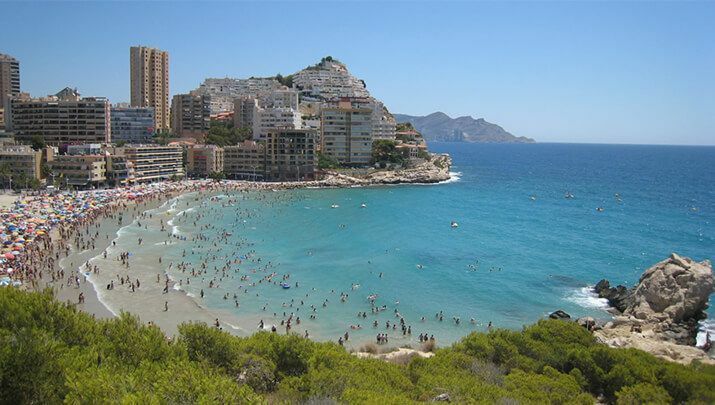 It provides spectacular views of Benidorm’s coast line, which makes it a must-see place for all visitors. 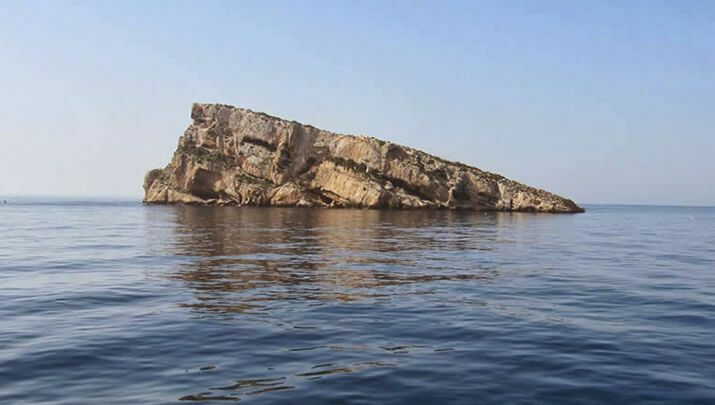 The Benidorm Island, also known as “the journalists island”, located at two nautical miles off Benidorm’s coast. 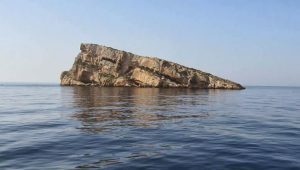 The history of the rock plays a role in local mythology and nowadays it’s of great touristic value, not in the last place because of the rich sea bed that surrounds it. The boats that sail hourly from the port to the island are known as the “Swallows”. They have glass bottoms, enabling the observation of the submarine flora and fauna. 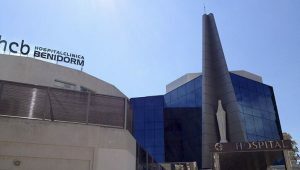 Benidorm Palace is a great experience with dance, music, light and magic very close to Camping Arena Blanca. One of the bigger performance halls in the region hosting a variety of events. 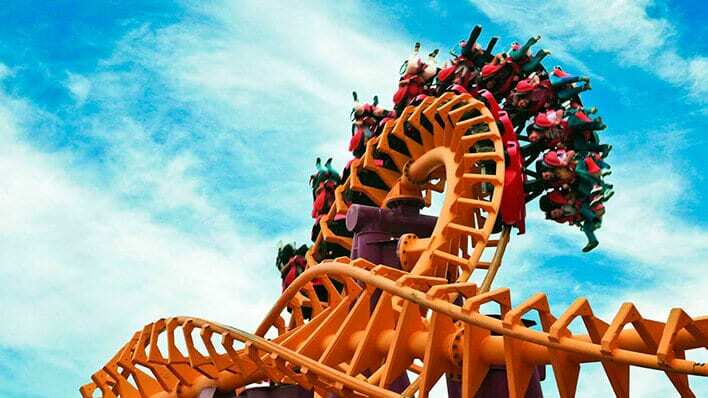 It has a dinner-show full of fascinating performances and concerts. Here you can enjoy a mix of different kind of performances, like folkloric dance, acrobatics, comedians and musicians, among others. 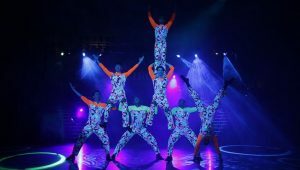 Benidorm Circus is a modern circus with its very own style, inspired by the big circuses like the Cirque du Soleil or Oriente Circus. With jugglers, mimes, acrobat clowns, dancers and singers, among others. Come to Camping Arena Blanca’s reception to get a discounted entry ticket. 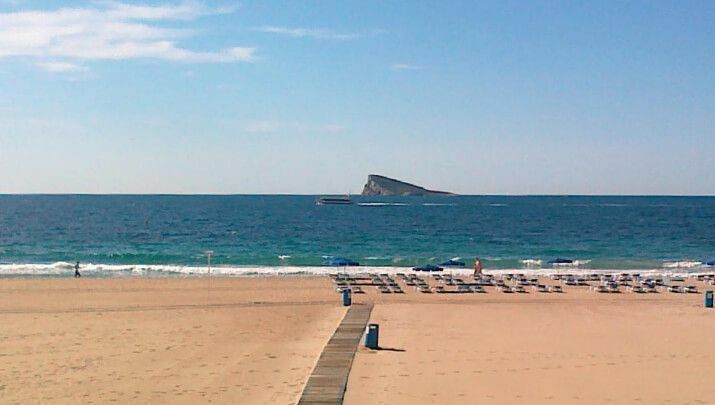 Known as the Beach where the sun rises, this is the best known beach in Benidorm with its length of 3 kilometres. Lined by a promenade and characteristic night-time illumination, this is the most visited beach. 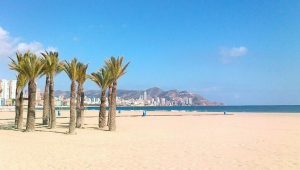 The Levante Beach stretches from the centre to the Rincón de Loix area alongside a great variety of bars and cafes. With its children’s playground equipment, cable ski installation and library (opened daily from 11:00 till 16:00H year round), it offers a lot more to enjoy than just sunbathing and swimming. 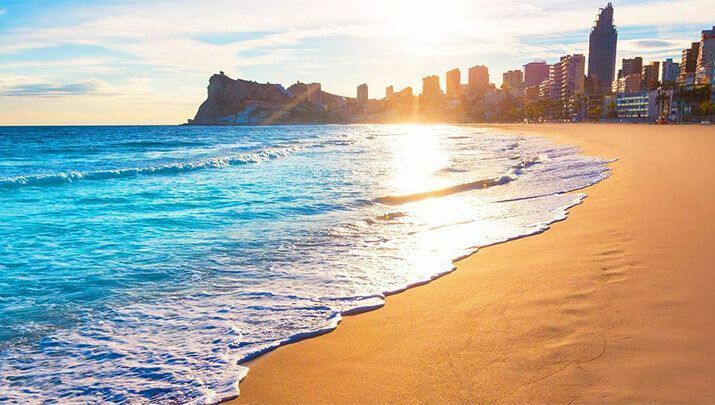 With a length of 4 kilometres and a 100 meters width, Poniente (where the sun sets) Beach is the largest beach of Benidorm. Its recently redesigned promenade received an important award for global design from the Architecture and Design Museum of Chicago. This beach is quieter than Levante Beach and Spanish users are predominant. 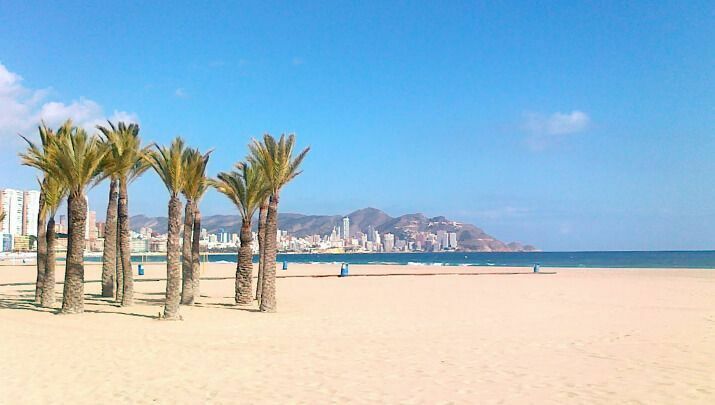 Like Levante Beach, every day is welcomed with clean sand, thanks to Benidorm’s mechanical beach cleaning service. 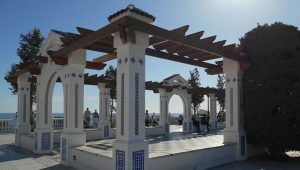 The port is situated at the extreme closest to the town’s centre and hosts a Yachting Club and a varied fleet of ships. This beach also offers playgrounds and a library that opens from 11:00 till 16:00H on a daily basis. You will find cosy Mal Pas beach hidden between the Levante and Poniente beaches, just next to the port, in a little bay. This beach has a length of only 120 metres. On its north side it delimits the Punta Canfali, the rock that’s also known as the Balcony to the Mediterranean Sea. Due to its protected situation, this beach rarely has high waves. 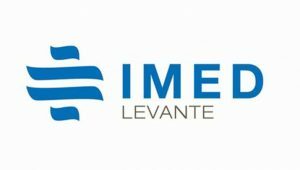 It has been awarded with the blue flag for its quality, providing basic services such as beach chairs, parasols, lifeguards and foot showers. There is a blue parking zone nearby. The Finestrat Bay or Cala de Finestrat is the only beach in the territory of Finestrat, which borders the municipalities of Benidorm and Villajoyosa. The beach is formed by a sandy bay with a 300m length and 50m width and includes a promenade. There is a playground for the little ones with parking lots, restaurants and cafés. If what you like is a beach at the foot of the mountains you will surely like this small bay, hidden at the foot of the mountains beneath the Cross of the Rincón de Loix. It’s a beach with fine sand, rocks and crystal clear waters and it never gets very crowded. This beach, surrounded by a beautiful natural landscape, is the starting point of many diving excursions because of the rich submarine fauna that’s found here. Do you like party? Welcome to Benidorm, the city that never sleeps! Party 365 days a year and in a thousand possible ways! Camping Arena Blanca is surrounded by the most important entertainment areas of this town, where you’ll surely find something to suit your taste. KU Benidorm, KM Disco, Penelope and Manssion are discotheques that are dedicated to a young public, both foreign and Spanish. These big discotheques are all situated along the National Road Avenida Comunidad Valenciana. Some of the world’s most famous DJ’s collaborate with them and they cover several music styles, from the most commercial to electro, and they even organize alternative rock festivals. 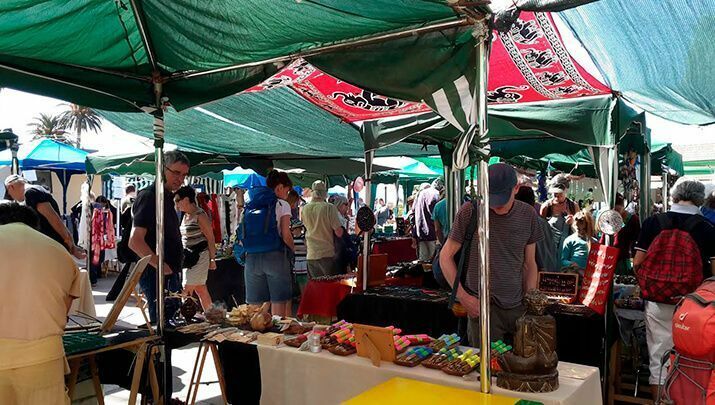 Morgans Tavern, Red Dog, Café Benidorm, Bahamas, Hippodrome, Champions, Beachcomber, Loch Ness and are some of the many popular clubs and bars that you can visit in Lepanto, Ibiza and Girona Street in the Rincón de Loix neighbourhood. It is the most popular area for the British public. Tribute shows to famous British artists are organized regularly and the British taste is well reflected by the drinks offer. 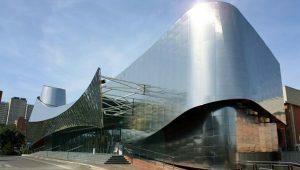 It is the epicentre of diversion for the British client. Here we’re talking about the most cosmopolitan party area in Benidorm. You can easily bump into famous Spanish TV stars and starlets. With free entrance, you can mainly enjoy electronic music in discotheques like KM Playa, Penelope Playa, KU Playa, Richard New Look and Moon Beach, among others. It is a party zone with an international public and a closing time close to 5 am. 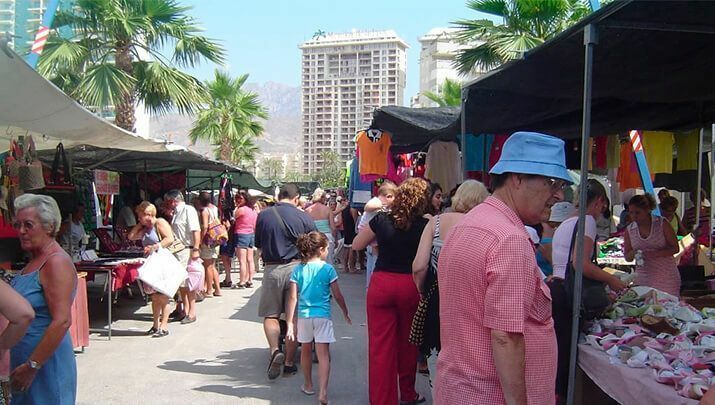 Is comprised by the streets that bring you to the Castle’s Square (Plaza del Castillo). 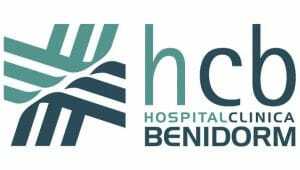 In this area you will find pubs and bars that are “in” in Benidorm, like La Posada, Happy Clinic, Manhattan, Portobello and La Sal. This area has a Spanish atmosphere and the music played is mainly Spanish folkloric and commercial. 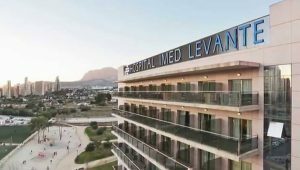 Prices of consumptions are a bit less expensive than at Levante Beach or in the discotheques along former national road N-332. Closing time here is between 3 and 4 AM. We have the Spanish city with more festivities! A perfect mix of entertainment, culture and tradition. 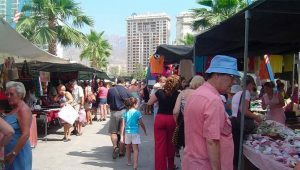 Would you like to know the customs and history of Benidorm? To finish off the Christmas celebrations and start the new year, we have the Three Wise Men from the East visiting us on their horses when the night falls on the 5th of January, so actually on the eve of Three Wise Men’s Day. They bring not only the magic and mystery from the East, but also candy and presents for the children. Experience the magic of Christmas in Benidorm! The parade can’t lack floats, costumes and of course Melchior, Caspar and Balthazar, who usually leave from Parque de Elche at around 18:00 hours. From there they parade through the streets of Benidorm centre towards the town hall, where a nativity scene has been put up and shows and fireworks light up the festivities. Do you like to dress in disguise or walk in a parade? During Benidorm’s Carnival you can live an experience full of fantasy, colours and music. Costume contests are organized, parades are held and in the end there’s the burial of the sardine, celebrated in several parts of town, a ritual that symbolizes the burial of the bad things of the past and being reborn. If you want to participate in the carnival, here in Benidorm you will find many shops that offer a variety of fun costumes. Come and enjoy! This fiesta of Valencian origin is the best known and post popular one in this region. With this yearly celebration we say goodbye to the cold winter and welcome the spring and the good climate. The tradition of the Fallas involves the burning of sculptures made of papier-mâché satirizing themes of actuality. This ritual also represents leaving the past behind, by symbolically burning the bad things and continue full of renewed energy. Come to welcome spring in a different way. An unforgettable show of fire. During these celebrations don’t be surprised when you see genuine Moors and Christians walking the streets of Benidorm. This fiesta is a historical representation of the war between the followers of the cross and Muslims, who dominated the Iberian peninsula for centuries. 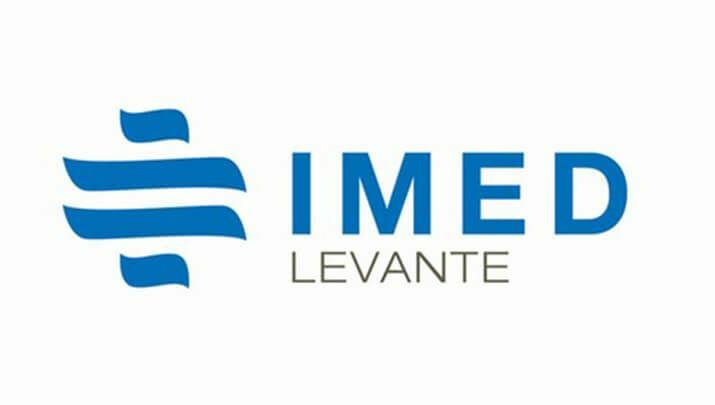 The landing of the Christians on the Levante beach, the battle between both sides and the parades are some of the events you shouldn’t miss. 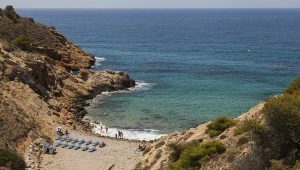 For hikers who love to explore nature and landscapes, here are some routes you can do in the surroundings of Camping Benidorm Arena Blanca. If you have been in Benidorm, surely you have seen the lit cross up in the Sierra Helada mountains above the Rincón de Loix. To access the path of Sierra Helada, first you must go up to the Cross of the Rincón de Loix. Here starts one of the most beautiful routes in the area of Benidorm. The path is full of ups and downs and takes you along the cliffs of Sierra Helada from Levante to Albir’s antennas, from where the trail descends towards Albir village. 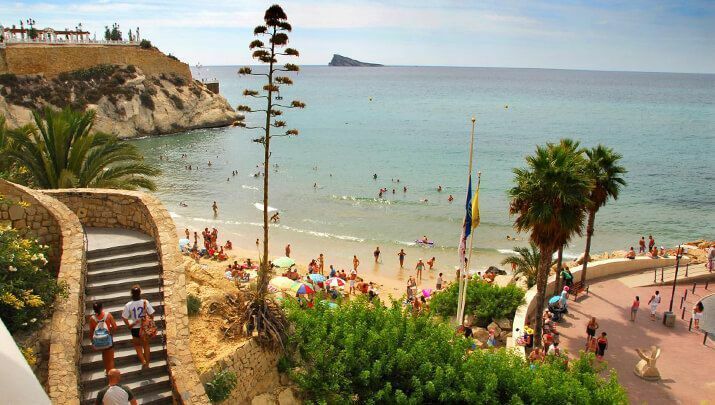 Along the trail, you can enjoy the sea breeze and beautiful views of Benidorm and towards the inland. How to get there: To get there from Camping Arena Blanca, you have to take the bus (line 10) either to the point of the Rincón de Loix from where to start walking towards the cross, either to Albir and do the hike in the other direction. 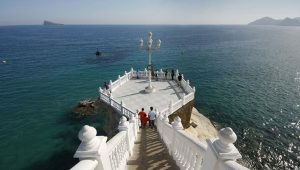 A beautiful walk that starts at Albir’s beach and takes you to the renovated old lighthouse, located in the natural park of Sierra Helada. It is a 5 km round trip with spectacular panoramic views of the entire Altea Bay: Albir, Altea and Calpe. Signage and easy access make it a perfect route for the whole family. You can visit the interior of the lighthouse, which is still working, between 10:00 and 13:30H Tuesday to Sunday. How to get there: take bus line 10 to Albir or go by car and park in the parking lot next to the Park’s entrance. And in case you had any setbacks (God forbid), here is a list of the Hospitals of Benidorm with their respective locations. Hospital IMED Levante is one of the private health centres in Alicante province that offers multidisciplinary health care. 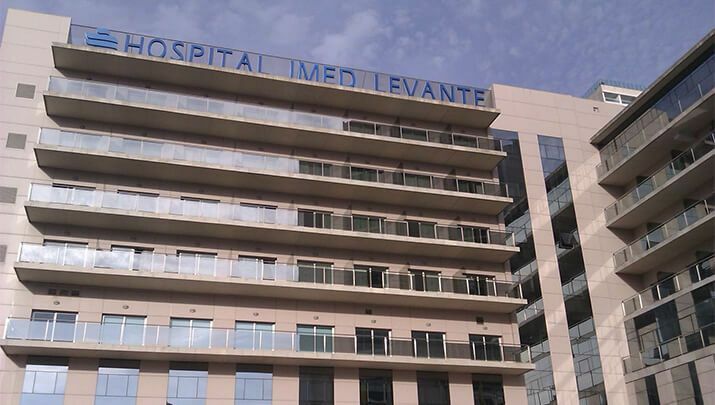 The main objective of Hospital IMED Levante is to offer high quality medical assistance. 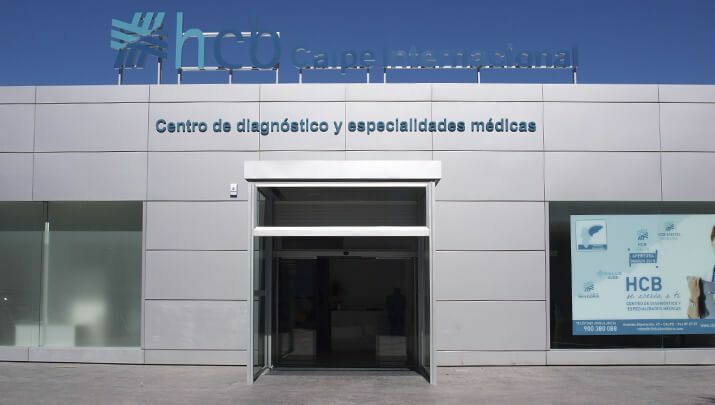 For this purpose the centre has been provided with the most advanced technology and a renowned medical staff. 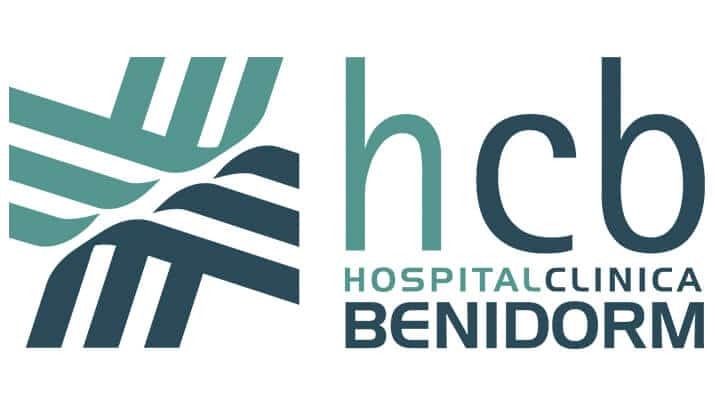 We are a group with more than 20 years of experience in the passionate world of health care, putting a lot of effort into giving the best possible service to our patients since day one. We have been giving a lot of importance to reuniting a human team that feels involved with our project. Also our hospital is recognized by the Public Health Authorities to collaborate with the elimination of the waiting list for surgery patients of the National Health Service, besides giving integrated care to oncology patients.